I was lucky enough to receive a Glampalm Magic wand a few weeks ago. I must say it has totally changed the way I think about curling my hair. I have long thick hair that generally takes forever to style and its normally such a big mission that I couldn’t really be bothered. I have also for years been a ghd fan and I always thought other brands would not be as good. Well let me just set this straight now, Glampalm is absolutely magical :) It is really a super fantastic product and works like a bomb. Plus you do not have to worry about damage too much cause of the mineral ore infused barrel, which leaves virtually no damage. The Glampalm Magic Wand is true quality, from its looks to its feel and even the results that you get. From the moment it landed on my desk I was playing with it, I even turned it on at work and did a few quick curls at my desk and when I got home later those curls were still rocking and I had not even sprayed on any setting spray or anything!? I mean how is this possible, all the other curling methods I have tried I needed to use a hair spray with otherwise 5 minutes later my poor hair would be flat. 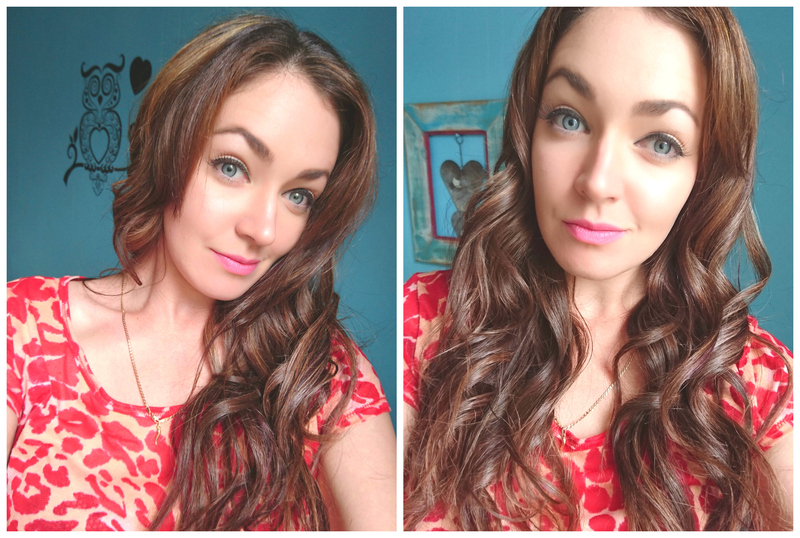 The Glampalm Magic wand definitely does its job well. 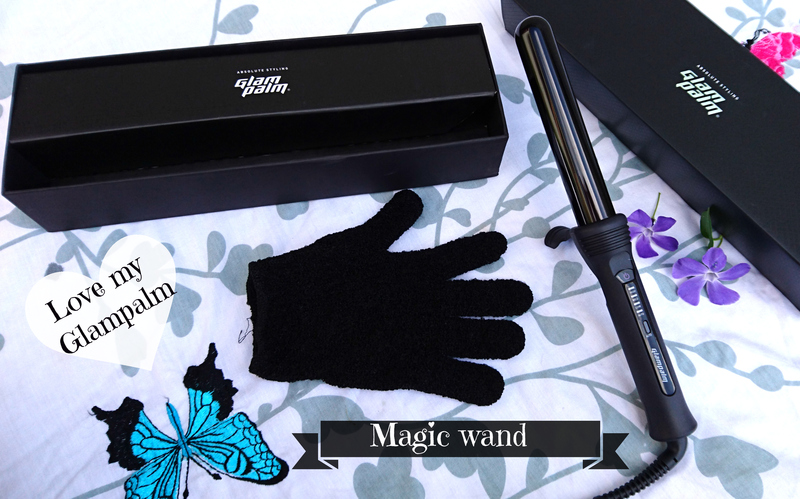 The Magic wand comes in a stylish black box with a Glampalm branded slip cover that slips off. The box then opens up to reveal the curling wand displayed neatly inside. When you open the box up further you then notice that it comes with a little black heat resistant glove (This is just total genius!!) and the Curling wand it’s self has an impressive long cable with the no tangle swivel on the handle end and on the plug side it has this handy little rubber clip thing you use to neatly tie your cable when storing it. The wand also has a very clever safety kick stand that you can flip out so you do not have to put it down on fragile surfaces or risk burning your dressing table. This baby gets hot so be careful with her, I first though I wouldn’t need the glove it came with but trust me you will soon get into using it. 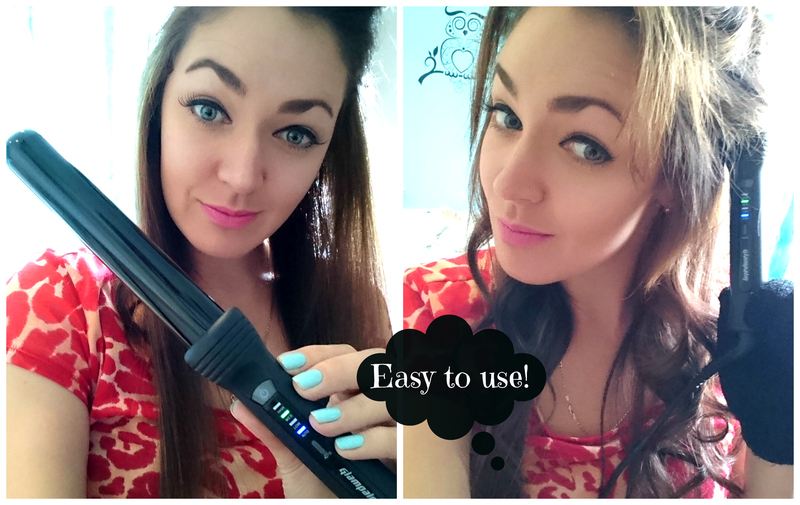 The Glampalm Magic wand has a 1 inch barrel that heats up in like 30 seconds! The wand is turned on by holding in the On/Off button till the red light blinks on, It is ready when the light turns to green. The wand has 3 temperature settings, Low for fine/damaged hair. Medium for normal hair and then High for thick,coarse or ethnic hair Or just for days you wanna curl the hell out of your hair lol. But It is better for damaged hair or over processed hair to stick to the Medium or low Temperatures. The basics of it is to turn the Magic wand on and wrap your hair around the barrel from the base up to the tip and hold in place for a few seconds, I hold it for about 7 seconds and then slide the wand out to reveal the perfect curl. You can play around with how you wrap your hair to achieve tighter or loose curls or just slight waves and also wrapping towards the face or the other way. 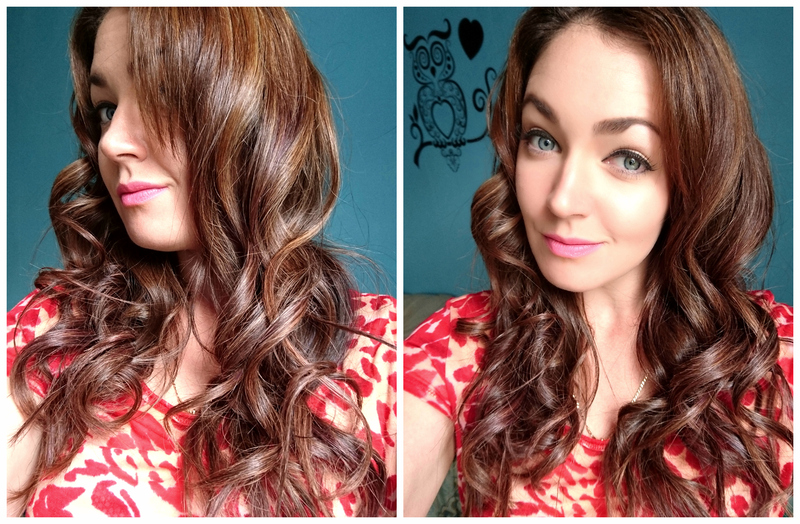 So many different effects can be achieved and It is really so easy and effective that anyone can pull off perfect curls. The Glampalm Magic wand sells for R1799 on the Glampalm site , You can Click HERE to go straight to the site. Check it out and get yourself one! Its well worth it.